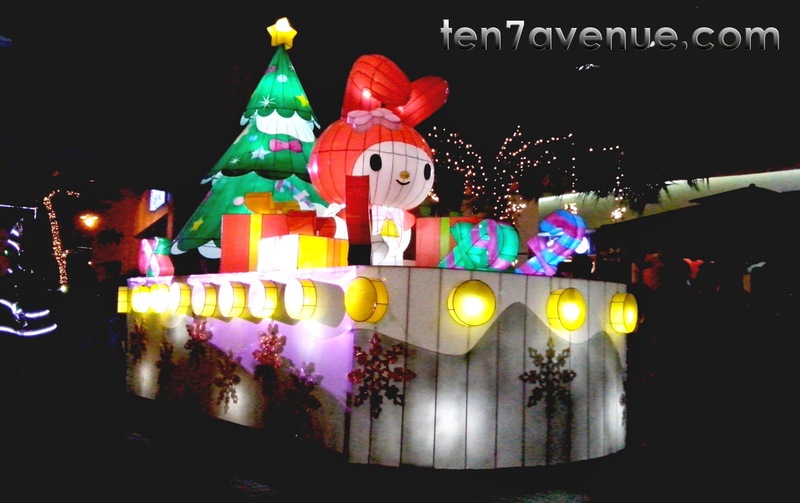 The Sanrio world conquers the Mall of Asia as the grand parade of lights pass along its corners. 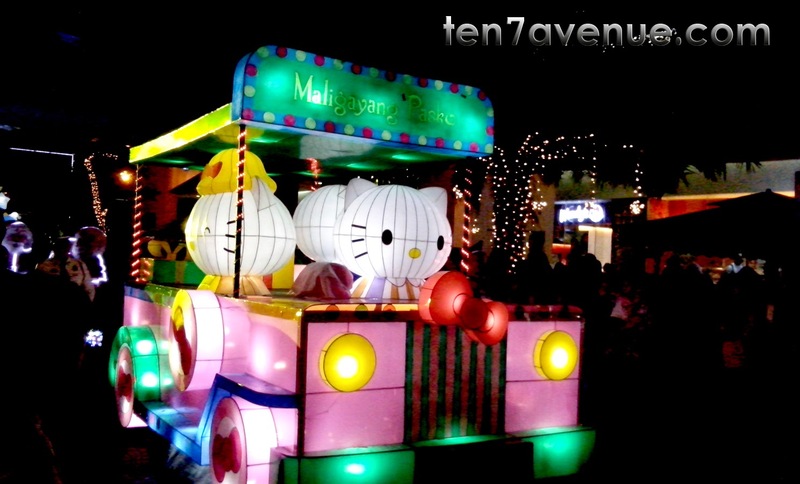 It is a grand parade where there are lit floats with Sanrio characters and dancers dancing every after float. The parade starts every 6 o'clock in the evening of the mall hours which lasts for an hour. Before that time, people start to flock along the corners of the mall to witness the lively grand parade of lights. 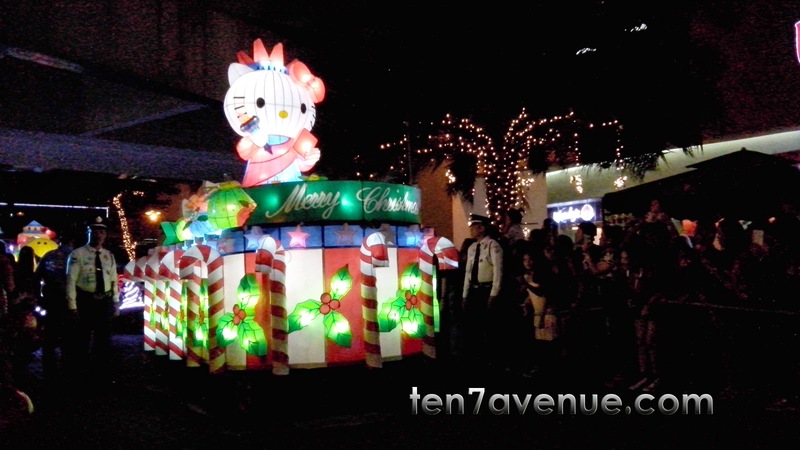 Among the firsts to show up in the parade is Hello Kitty. She is waving to the guests around. Then, the crowd yells with so much joy seeing the characters of Sanrio World - start of the parade with so much fun! It is such a joyful event seeing kids touching the characters that creates a very big smile among their faces. Every after character, there is an expectation of more characters to show up. These colorful floats entertain every eye of the audiences. It indicates the season of joy, merriment and giving. Every float is designed with gifts, Christmas tree, candy cane, snow flakes, Christmas flowers and others. 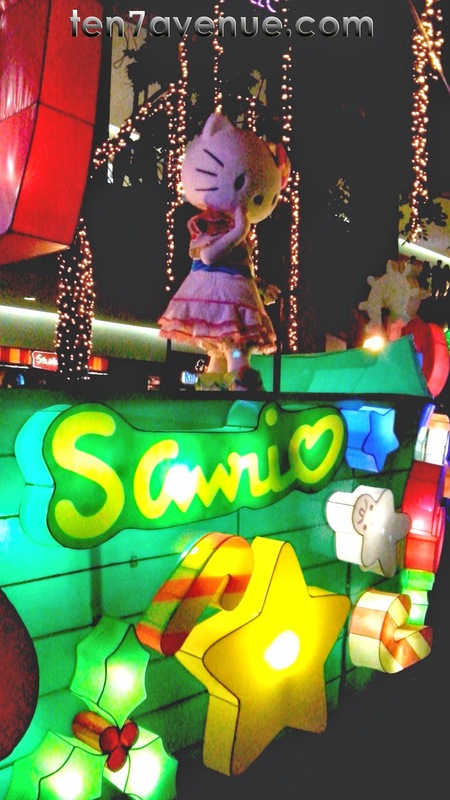 To give a Filipino touch, a jeepney float where the Sanrio world characters ride with a caption of "Maligayang Pasko" says it all. "Beep... Beep..." A horn sound from the jeepney to call the attention of the guests around the corners. It is indeed Christmas in the Philippines, where the longest Christmas celebration is experienced. There is merriment in every corner of the busy streets of the Metro - people singing on a videoke and parties every where. 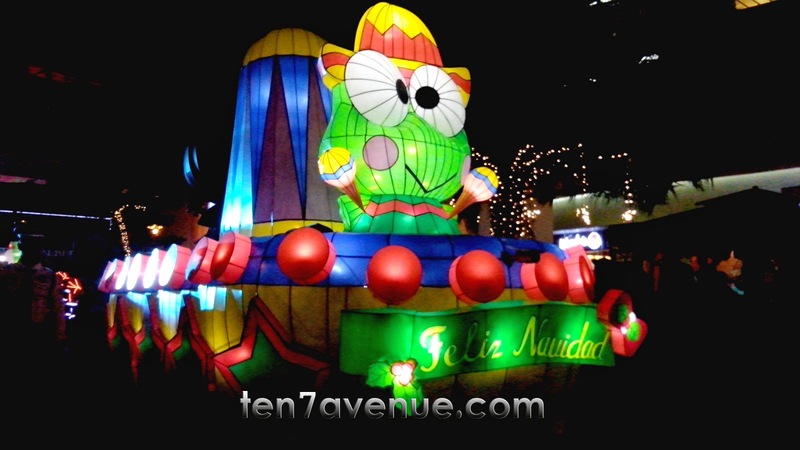 Enjoy your visit here at www.ten7avenue.com.